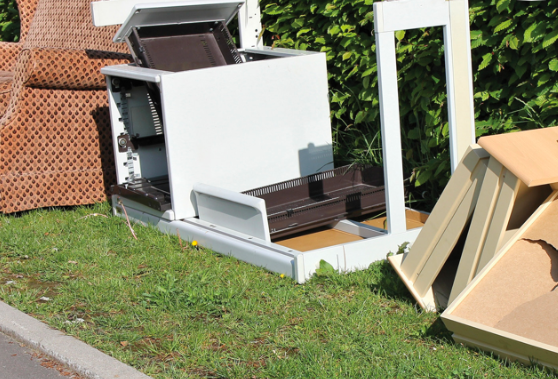 The City of Palos Verdes Estates is holding its annual free bulky waste and e-waste collection event on Saturday, April 27th. Items must be at the curb by 6:00 a.m. to be collected. Water heaters, furnaces, bed springs, mattresses, dressers, couches, washers, dryers, stoves, tables, chairs, refrigerators (compressors removed), freezers, air conditioners, and patio furniture. These items are to be placed at curbsite (not in the street). Electronic Waste includes TVs, printers, DVD players, computers, etc. No Hazardous waste (such as paint, oil, light bulbs, etc.) will be accepted. For more information, Please contact City Hall at (310) 378-0383 or Athens Services at (888) 336-6100. Can’t make it that day? Now you can submit a Request for Bulky Item Pickup online! At Athens Services, Our number one priority is providing excellent service to meet the needs of our community. We are pleased to provide bulky item pickup to our valued customers in Palos Verdes Estates. If the date of this event is not convenient for you or if you just need to get rid of additional bulky items at a future date, consider donating items to a local organization that will use them. Not only will you reduce landfill waste and save resources, but you may also help someone in need. Otherwise, let Athens haul them for you! Scheduling a bulky item pickup with Athens is now easier than ever – Just use the online order form at http://www.AthensServices.com/Bulky-Item-Pickup. To request a pickup, please provide information including number, type, and/or weight of items, your account information, the location of pickup and any notes or photos, and our customer service team will respond within 48 hours. Certain restrictions may apply. In order to ensure the best quality of service and efficiency, please refrain from putting out any items until you have received your confirmation call from a customer service representative. We look forward to serving you!